It’s reassuring to know you can keep in touch with family and friends wherever you are in the world, but take your mobile phone on holiday and you could face a hefty bill on your return. When you’re abroad your phone connects automatically to the overseas network, routing calls via that host instead of your home operator. The costs for these calls can be as much as £1 per minute – both to make and receive calls. What Can You Do To Beat Excessive Roaming Charges? Know your phone. 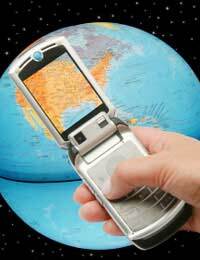 Read the ‘overseas’ section of your mobile phone manual and check the small print for anything relevant. Check whether your network will charge you when callers leave voicemail on your phone, and how much it will cost for you to pick it up. Ask your network provider what packages they offer for overseas travellers. For a fixed monthly fee you could significantly reduce the cost of your calls when abroad, but be specific about where you’re travelling and the amount of usage you expect to need from your phone. If you take on a monthly package to cover a single trip, don’t forget to revert to your normal package when you return. If you’re travelling within European Union member states, you’re less likely to run up a massive bill; mobile phone companies are forced to cap international charges to the equivalent of 50 Euros. It’s still worth looking at ways to reduce your mobile phone usage when abroad, as once you reach this cap you won’t be able to use your phone at all. The chances are, your mobile is set to ‘automatically select network’. This setting will pick up the strongest network wherever you are, but that might not necessarily be the cheapest. Dig out your manual again to find out how to change your setting to ‘manually select network’ and research the cheapest available. Most of the mobile phone companies in the UK have partnerships with other companies in Europe and in fact some are owned by European companies, like Orange. Make use of text messages to beat roaming charges. Whilst sending texts still incurs a charge it won’t cost you to receive them, so encourage your friends to use text messages to send news or ask you to call home – once you’ve identified a cheaper way to do so. Be wary of smart phones which let you send lengthy text messages; these will be broken up into two or more texts, each one incurring a charge. Learn to condense your messages by abbreviating words and using ‘txt spk’. If you’re going to be making or receiving a lot of calls whilst abroad, consider buying a pay as you go SIM card in the host country. This will come with its own number which you can text to friends and family, and will work out significantly less expensive in the long run. If you travel frequently and visit many different countries, you may find it more convenient to buy an international roaming SIM card. This will enable you to keep the same telephone number as well as benefiting from lower cost calls. If your mobile receives e-mails make sure you turn off the data roaming facility before going abroad. Using the internet abroad via phone networks can cost a fortune, so instead make use of free Wi-Fi hotspots to browse the web and download e-mails. Once you’ve located these wireless networks use an internet phone system (VoIP) to make free calls. We have another article in this section about the use of Wi-Fi to reduce data charges. Get to know your phone and get to know the packages your mobile phone company can give you. With a little care you can steer clear of excessive roaming charges when using your mobile phone overseas, avoiding a hefty bill on your return.